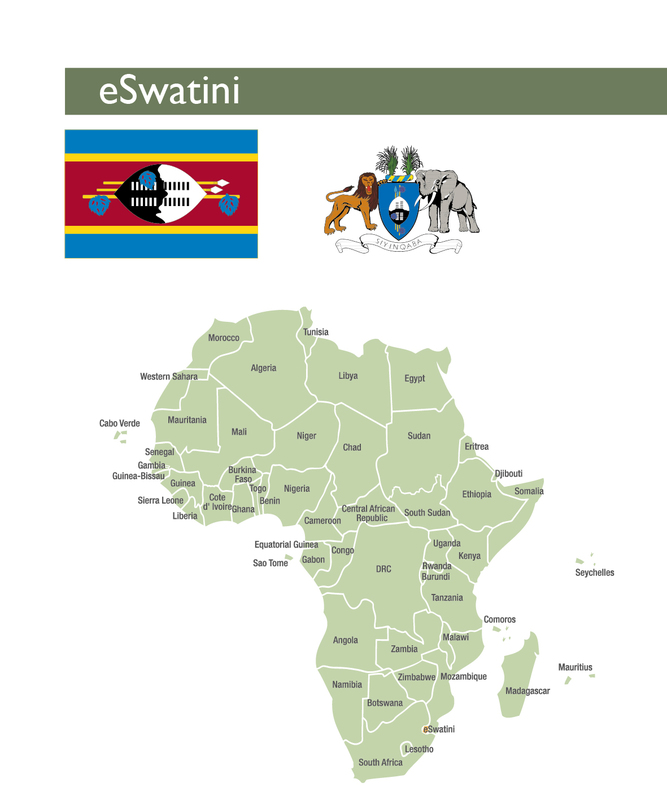 To download a pdf version of the full 2018 eSwatini country profile, click here. The Kingdom of Swaziland, or more recently known as the Kingdom of eSwatini following a decision by King Mswati II to change the country’s name (which is subsequently being challenged), is a landlocked country in Southern Africa. In 2017, the total recorded population was 1.3 million people, of which 76 percent live in rural areas. eSwatini’s economic growth, while still low, is growing. eSwatini’s banking sector consists of four commercial banks, three of which are subsidiaries of large South African banks,First National Bank, Nedbank and Standard Bankand one state-owned development bank– Swazi Bank. There is one building society – Swaziland Building Society (SBS)and three credit institutions- Letshego Financial Services, First Finance (Pty) Ltdand Blue Financial Services. According to the latest available data (FinScope 2014), 64 percent of adults (age 18 or older) are formally included in the financial sector. Of the financially included, 54 percent have access to a bank account. The use of non-bank products particularly for remittance purposes is also high. In 2014, 45 percent of adults reported either sending or receiving remittances monthly. The use of informal financial products and services, particularly for saving and credit purposes, is relatively high in eSwatini. In 2014, 40 percent of adults reported using informal financial products. eSwatini has a relatively small but functioning mortgage market. The countries deeds offices processes on average 200 or more mortgage bonds a quarter. Housing was included as a priority item in His Majesty’s Government Programme of Action 2014 – 2018 strategy document. During this period, the government promised to deliver over 700 additional residential serviced plots across four townships, in addition to other urban development projects. However, urban development and informal settlement upgrading has been a priority of the government since the 1990s. eSwatini’s housing market is characterized by an under supply of affordable accommodation. According to Seeff and SNHB, there is a “huge gap” in the market for properties that priced within the reach of the country’s middle class. Given the limited supply of affordable housing solutions, lower income segments continue to rely on self-build and informal structures for shelter, particularly in the urban centres. The country’s housing market is lacking affordable housing options for the middle to low income market and while public housing delivery is extensive, it is restricted to only certain segments of the market. With the upcoming release of the 2017 Population and Housing Census and the 2016 Income and Expenditure Survey, updated data on the income distribution of households will be made available, which in turn should help investors and developers reassess the country’s investment opportunities. Likewise, the data will provide sound basis for the development of updated housing and land-related policies. That said, the recent passing of the amended Sectional Titles Act is a significant achievement for the country and Swazi nationals alike. The Kingdom of Swaziland, or more recently known as the Kingdom of eSwatini following a decision by King Mswati II to change the country’s name (which is subsequently being challenged),is a landlocked country in Southern Africa. In 2017, the total recorded population was 1.3 million people, of which 76 percent live in rural areas. The most recent estimates put urban population growth rates at 2.5 percent, while overall growth rates were 1.8 percent in 2017.eSwatini has a very young population with 80 percent falling under the age of 35,and an average life expectancy at birth of 57.8 years. eSwatini’s economic growth, while still low, is growing. As at 2017, the estimated GDP growth rate was 2.3 percent, up from 1.4 percent in 2016, while project growth rates for 2018 are over 3 percent.Since 2015, GDP per capita has remained approximately US$3 900. The improved economic growth in 2017 was driven by the recovery of the agricultural sector, following the severe drought in 2016, and positive growth in the manufacturing sector. Combined, agricultural activities and manufacturing contribute 43.2 percent to GDP. The economy is also expected to benefit in the medium term from the country’s readmission to the United States’ African Growth Opportunity Act (AGOA) in 2017, which should boost exports to its trading partners.However, major economic risks are expected to continue to constrain the country’s growth. These include the growing fiscal deficit which is being financed by high levels of public debt (20.8 percent of GDP as at June 2018),constrained public spending as a result of the fiscal deficit, and external risks such as lower than expected demand in the mining sector and South Africa’s poor economic outlook affecting Southern African Customs Union (SACU) revenues. Inflation has followed a downward trend since 2016 when it spiked to 7.8 percent as a result of the country’s drought and subsequent food price increases. As at June 2018, inflation was recorded at 4.8 percent. Mabuza, N. 2018. Swaziland’s name change challenged in court. 28 August 2018. https://mg.co.za/article/2018-08-28-swazilands-name-change-challenged-in-court(Accessed 29 September 2018). The World Bank (2018). World Development Indicators. http://databank.worldbank.org/data/reports.aspx?source=world-development-indicators(Accessed 29 September 2018). AFDB (2018). 2018 African Economic Outlook. Swaziland. https://www.afdb.org/fileadmin/uploads/afdb/Documents/Generic-Documents/country_notes/Swaziland_country_note.pdf(Accessed 29 September 2018). Pg. 8. Trading Economics (2018). Swaziland Per Capita GDP. https://tradingeconomics.com/swaziland/gdp-per-capita(Accesses 29 September 2018). AFDB (2018). Pgs. 2 – 3. Central Bank of Eswatini (2018). Quarterly Review June 2018. http://www.centralbank.org.sz/monetarypolicy/quarterly/June-2018-Quartely-Review.pdf. Pg. 26. According to the central bank’s financial stability report, as at June 2017 the country’s banking sector saw good asset growth and banks were wel- capitalised, but poor bank profitability and deteriorating asset quality threatened the sector.Total banking sector assets recorded in June 2017 were E18.3 billion (US$1.2 billion), up from E15.8 billion (US$1.1 billion) in the previous year. Loans and advances constitute approximately 58 percent of total banking assets while the total capital adequacy ratio in June 2017 was 23.5 percent. According to the Central Bank of Swaziland, deteriorating asset quality combined with high inflation rates led to poor bank profitability in 2017. After reaching a high of 9.9 percent in March 2017, non-performing loans (NPLs) to gross loans settled at 8.2 percent by midyear. However, this is still significantly higher than previous years’ – NPLs in June 2015 were recorded at 3.6 percent. Although still small, the Swaziland Stock Exchange (SSX) has grown in recent years. As at July 2018, total market capitilisation was E3.5 billion (US$246 million), up from E2.0 billion (US$140 million) in July 2013. According to the latest available data (FinScope 2014), 64 percent of adults (age 18 or older) are formally included in the financial sector. Of the financially included, 54 percent have access to a bank account. The use of non-bank products particularly for remittance purposes is also high. In 2014, 45 percent of adults reported either sending or receiving remittances monthly. The use of informal financial products and services, particularly for saving and credit purposes, is relatively high in eSwatini. In 2014, 40 percent of adults reported using informal financial products. Of those, 68 percent said they use informal products for saving purposes, while 51 percent said it was for lending purposes. In the same period, only 12 percent of adults said that they borrowed from a bank or other financial institution in the 12 months prior to the survey, while 59 percent of adults said they did not borrow at all. Despite this, credit extension has been increasing in recent years. Credit extension by banks increased from E9.3 billion (US$655 million) in March 2015to E14.5 billion (US$1.0 billion) in June 2018, of which approximately 40.7 percent is extended to households.However, the Central Bank did note marginally slower credit growth rates in early 2018. The bank’s funding is dominated by customer deposits (78 percent), with 14 percent from shareholder equity. According to the Central Bank’s June 2017 financial stability reports, household and personal loans accounted for the largest share of total bank loans at 42.6 percent, of which almost 29 percent were unsecured loans. Loans to the real estate sector (both residential and commercial) accounted for 11.8 percent of total bank loans in the same period.Given the high proportion of the loans to the household sector and reliance on customer deposits for funding, the banking sector is highly vulnerable to any shocks that impact household’s willingness and ability to repay debt. Swaziland’s performance on the World Bank’s Doing Business ‘getting credit’ index improved between 2017 and 2018 following the passing of the Consumer Credit Act 2016. The Act gives borrowers the rights to access data on their borrowing history stored at the credit bureau. Currently, credit bureau coverage in eSwatini sits at approximately 44 percent of adults. In terms of the ‘getting credit’ ranking, in 2018 it ranked 77th out of 190 countries, down from 82ndin 2017.
eSwatini has a relatively small but functioning mortgage market. The countries deeds offices processes on average 200 or more mortgage bonds a quarter. The Swaziland Building Society (SBS) remains the leading provider of mortgages in eSwatini, with the four big banks providing the balance. By March 2017, SBS reported total assets worth E2.2 billion (US$155 million), of which E1.4 billion (US$98 million) consisted of loans and advances to clients.SBS offers loans to purchase land and/or properties, as well as building loans, to individual and commercial clients. SBS also offers a “Home Plan” product which is designed to assist employees to purchase and/or complete properties in rural or urban areas with a loan guaranteed by their employer.SBS also offers a range of personal loans and other commercial banking services including savings and investment products. While historically the SBS provided credit at lower than average market interest rates, it now appears to charge in line with other commercial banks. As at March 2017, SBS’s prime lending rate was 10.75 percent.SBS also charged a monthly administration fee on all mortgage loans of E66.5 (US$5). Commercial banks operating in eSwatini also offer a range of housing loans. FNB offer 100 percent loan-to-value mortgages, while Nedbank and Standard Bank require a 10 percent up-front deposit. The maximum loan term of 25 years is offered by Standard Bank, while monthly administration charges on mortgages range from E30 (US$2) in the case of FNB and a minimum charge of E83 (US$6) for Standard Bank. Further, Swazi Bank offer a range of housing finance products including a civil servants housing loan scheme offering “relaxed loan requirements,” subsidised interest rates and no up-front deposit requirements. Under this scheme, civil servants may borrow up to E400,000 (US$28 000) for urban housing and up to E200 000 (US$14 000) for rural housing.Swazi Bank appear to charge some of the highest fees on their housing loans (this may exclude loans to civil servants) with monthly administration fees of E113 (US$8) and a loan initiation fee of 7.7 percent of the loan amount. 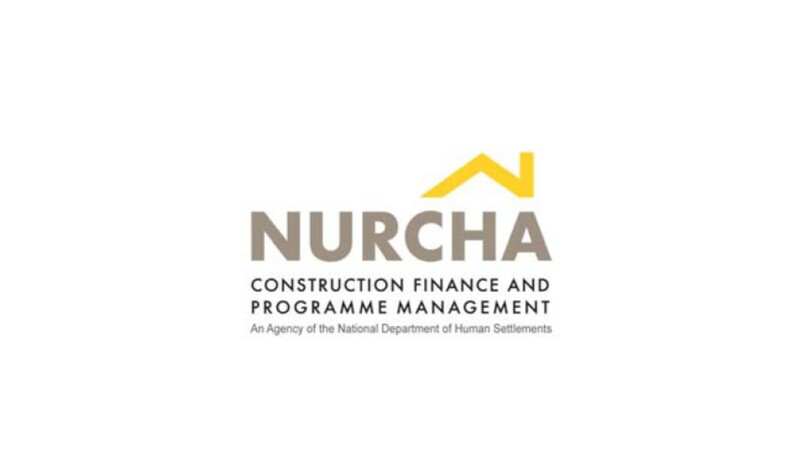 Reports also suggest that the Swaziland National Housing Board is considering venturing into housing finance for customers of their projects in order to compete with the banks in the future. The Central Bank of eSwatini (2018). http://www.centralbank.org.sz/financialregulation/banksupervision/index.php. (Accessed 29 September 2018). Central Bank of Swaziland (2017). Financial Stability Report. June 2017. Issue No. 1. http://www.centralbank.org.sz/financialstability/FinancialStabilityReportIssue1.pdf(Accessed 29 September 2018). SSX (2018). Market capitalisation as at 31 July 2018. http://www.ssx.org.sz/index.php/2015-05-11-14-00-53/2015-05-11-14-10-01?start=20(Accessed 30 September 2018). Finmark Trust (2014). FinScope Consumer Survey 2014. http://www.finmark.org.za/wp-content/uploads/2016/01/Brich_FsSwaziland_2014.pdf(Accessed 30 September 2018). The Central Bank of Swaziland (2017). Pg. 22. The Central Bank of Swaziland (2018). Pg. 20. The Central Bank of Swaziland (2017). Pg. 23 – 24. The World Bank (2018). Ease of Doing Business in Swaziland. http://www.doingbusiness.org/en/data/exploreeconomies/swaziland#DB_gc(Accessed 30 September 2018). The Government of Swaziland (2018). Deeds Registry Office. Performance for Quarter ending 30thJune 2018. http://www.gov.sz/images/DEEDS_REGISTRY_-_Performance_report_April_-_June_2018.pdf(Accessed 30 September 2018). Swaziland Building Society (2017). Annual Report for year end 31 March 2017. https://www.sbs.co.sz/images/22.pdf(Accessed 30 September 2018). Swazi Bank (2018). Housing Loans. https://www.swazibank.co.sz/mfmbs/ib/housingloans.jsp(Accessed 30 September 2018). Swazi Bank (2018). Fees and Charges. https://www.swazibank.co.sz/mfmbs/ib/swazifeesandcharges.jsp(Accessed 30 September 2018). Eswatini Property Review (2018). Vol 1. Issue 1. Apr – Jun 2018. http://www.barcodecreative.net/assets/files/Eswatini%20Property%20Review%20-Issue%201%20(Digital%20Copy%20-%2036pgs%20-%20R).pdf(Accessed 30 September 2018). Pg. 16. According to the African Development Bank (AFDB), eSwatini’s classification as a middle-income country does not accurately reflect the widespread poverty and inequality in the country.In 2018, GDP per capita was recorded at US$3 934. However, in 2016, 42 percent of the population was reported to be living below the income poverty line of US$1.90 per person per day. Unemployment is a key driver of poverty in the country. In 2016, an estimated 52 percent of young adults between the ages of 15 – 24 years old were unemployed. Recent estimates put total unemployment at 26 percent.The agriculture sector remains the largest employer in the country, contributing 69 percent of total employment in 2017. However, there is significant gender disparity in the labour market. 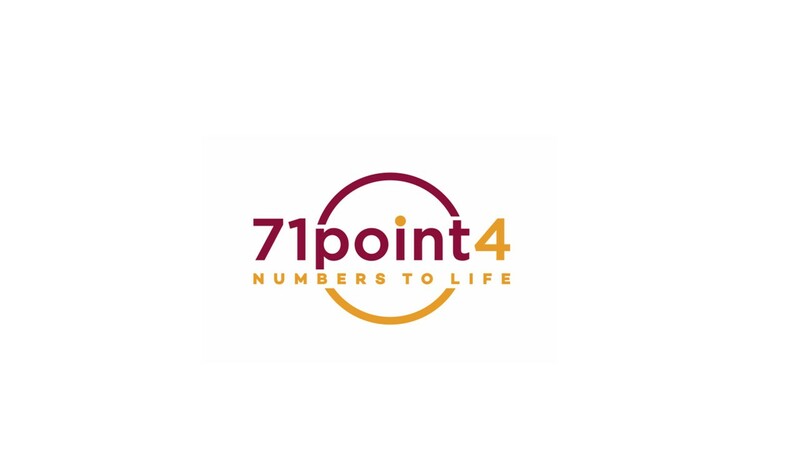 According to a recent report by the AFDB, only 45 percent of woman are employed in the formal sector, compared to 73 percent of men.These factors, among others, contribute to eSwatini’s poor ranking on the UNDP Human Development Index at 144thout of 189 countries. Recent calls for minimum wages in some sectors of the economy reflect the frustration of workers. The Amalgamated Trade Union of Swaziland (ATUSWA) has put pressure on the government to implement a basic minimum wage for textile workers of E3 000 (US$211) per month. Textiles workers are reported to currently earn between E1 300 and E1 500 (US$92 – US$106) per month,placing them far out of the reach of any decent formal housing. The Swaziland National Housing Board (SNHB), a state-owned organisation mandated to provide affordable housing to Swazi citizens, offers rental housing ranging from E1 510 to E3 785 (US$106 – US$267) for a two-bedroom apartment in the capital city, Mbabane. One-bedroom flats in some of their newer developments start at E2 455 (US$173) per month. Assuming an affordability of 25 percent of income, an individual would have to earn at least E6 000 in order to afford one of the cheapest rental options from SNHB. More recently SNHB have branched into developing housing for higher income segments in an effort to bolster their revenues and cross-subsidise future affordable housing investments.A 361m2plot in one of SNHB’s new and fully-serviced developments starts at E79 360 (US$5 593). Buyers can choose one of five house types to be built on their plot, however, the cost of the construction is not clear. Seeff Properties Swaziland suggest that an entry-level property will cost a buyer between E800 000 to E1.2 million (US$56 000 – US$84 000), but the “middle market” can only afford around half of this amount, suggesting that there is a sufficiently large affordability gap in the country. AFDB (2018). 2018 African Economic Outlook – Swaziland. https://www.afdb.org/fileadmin/uploads/afdb/Documents/Generic-Documents/country_notes/Swaziland_country_note.pdf(Accessed 30 September 2018). UNDP (2016). Human Development Report 2016. http://hdr.undp.org/sites/default/files/2016_human_development_report.pdf(Accessed 30 September 2018). 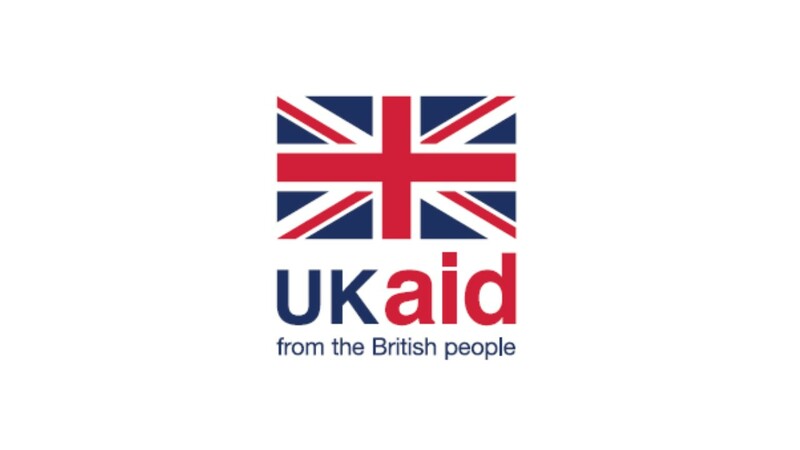 UNDP (2018). Unemployment, total (% of labour force). http://hdr.undp.org/en/indicators/140606#a(Accessed 30 September 2018). UNDP (2018). Human Development Indicators. http://hdr.undp.org/en/countries/profiles/SWZ(Accessed 30 September 2018). Zwane, S. (2018). Is 2018 the year for textile workers? 25 January 2018. http://www.times.co.sz/news/116789-is-2018-the-year-for-textile-workers.html(Accessed 30 September 2018). Swaziland National Housing Board (2018). Rental Housing Estates. http://www.snhb.co.sz/index.php?option=com_content&view=article&id=202&Itemid=128(Accessed 30 September 2018). Eswatini Property Review (2018). Pg. 15. SNHB (2018). Sales portfolio. http://www.snhb.co.sz/index.php?option=com_content&view=article&id=180&Itemid=122(Accessed 30 September 2018). Eswatini Property Review (2018). Pg. 17. The government has also embarked on a large Institutional Housing Project (IHP) which aims to provide decent, well-located and affordable accommodation for civil servants. 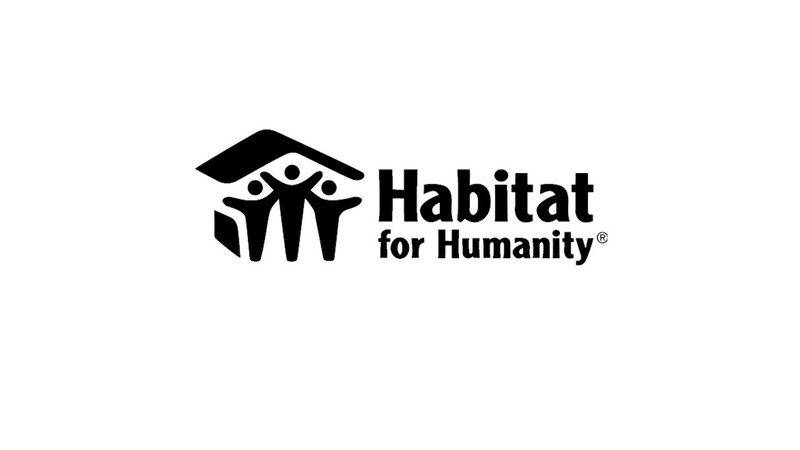 SNHB was appointed to construct and manage the housing which will be leased back to government. As at April 2018, SNHB had handed over ownership of 116 units to the Ministry of Health for occupation by their employees,and a further 282 units to the Royal Swaziland Police (RSP), His Majesty’s Correctional Services (HMCS) and the Swaziland National Fire and Emergency Services (FES). The SNHB is also involved in a number of private sector new developments aimed at middle to high income segments. This includes the Mabuya Township with 98 residential plots with an average size of 552m2, the Woodlands Township Ext 2 with 296 plots ranging in size from 759 – 3 777 m2and the Nkhanini township with 429 plots 361m2to 1150m2.In addition, SNHB manages a residential rental portfolio of over 950 units in Mbabane and Matsapha. Limited government funding for housing purposes remains a major constraint for SNHB, specifically with regard to its development of affordable housing units. 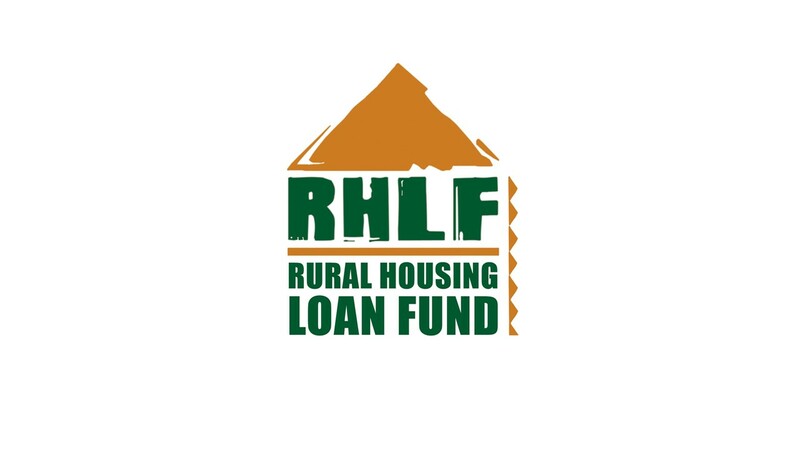 The SNHB does not currently receive any government subsidies for its development and typically relies on loans from commercial banks, as well as the Public Service Pension Fund (PSPF) and Swaziland National Provident Fund (SNPF) for funding. Given the limited supply of affordable housing solutions, lower income segments continue to rely on self-build and informal structures for shelter, particularly in the urban centres. Banes, C. (2000). How Swaziland is Upgrading its Slums. http://documents.worldbank.org/curated/en/266041468123582514/pdf/329840ENGLISH0Civis201Jan020011.pdf(Accessed 30 September 2018). The Observer (2017). Thousands failing to pay for plots in Mbabane. 14 January 2017. https://www.pressreader.com/swaziland/observer-on-saturday/20170114/281749859048493(Accessed 30 September 2018). The City of Mbabane (2018). Annual Report 2018. https://www.mbabane.org.sz/annual-report-2018/Pg. 16. SNHB (2018). The SNHB messenger. Volume 83. http://www.snhb.co.sz/images/Volume%2083-Umgijimi-ilovepdf-compressed.pdf(Accessed 30 September 2018). SNHB (2018). Institutional Housing Project Progress. http://www.snhb.co.sz/index.php?option=com_content&view=article&id=217&Itemid=66(Accessed 30 September 2018). SNHB (2018). Rental Housing Estates. CAHF (2017). 2017 Yearbook. Housing Finance in Africa. http://housingfinanceafrica.org/app/uploads/2017_CAHF_YEARBOOK_14.10-copy.compressed.pdf. (Accessed 30 September 2018). eSwatini’s housing market is characterized by an under supply of affordable accommodation. According to Seeff and SNHB, there is a “huge gap” in the market for properties that priced within the reach of the country’s middle class. Aside from Seeff, other established real estate agents operating in the country include Pam Golding and ReMax. The cheapest property listed across all three company websites was a E670 000 (US$47 000) for a two-bedroom 42m2property. While the portfolios of the established property agency remain relatively small, a local real estate website, Swazihome.com, lists over 100 properties for rent and close to 400 properties for sale across eSwatini. A possible constraint to future development is the government’s recent decision that requires all new construction projects to be registered with the Construction Industry Council and that a levy payment be made of approximately E19 000 (US$1 300). As a result of this decision, eSwatini dropped in its ranking on the World Bank’s Doing Business ‘dealing with construction permits’ to 102ndout of 190 countries in 2018. Additional constraints to new development include the 119 days and 14 procedures it takes to obtain a construct permit and a further 21 days and 9 procedures to register a property. The passing of the Sectional Titles Amendment Bill in 2017 by Parliament was a major development for the country’s housing market. However, the Bill is not yet operational as it is still waiting approval from His Majesty. Nonetheless, proponents of the Bill stress the importance of this reform and the economic growth that could be realised by allowing Swazi nationals to own land and transact in the property market. Despite this improvement, the country’s housing market is still in need of an updated National Housing Policy and a Residential Tenancy Bill to provide sufficient protection and governance for landlords and tenants respectively. Both of these pieces of legislation were listed as key priorities for the government for the period 2014 – 2018, however neither of them feature on the government’s legislation roll. The existing legislation that falls under the Ministry of Housing and Urban Planning include the 2001 Housing Policy, the 1961 Town Planning Act, the 1988 Human Settlements Authority Act, and the 2003 Crown Lands Disposal Regulations. Clearly eSwatini is in urgent need of updated policies and legislation in order for its housing market to develop. The Government of Swaziland (2018). Status of proposed legislation.http://www.gov.sz/index.php/component/content/article/141-test/2002-bills?Itemid=799(Accessed 30 September 2018). Medium-term growth prospects for eSwatini remain weak due to the country’s deepening fiscal deficit which is expected to constrain future public investment. This is in addition to the ever-present challenges with widespread poverty, high unemployment and serious public healthcare issues, specifically the HIV prevalence rate which remains the highest in the world. eSwatini’s economic growth is also tightly linked to its neighboring countries, particularly South Africa, which the country relies on for its export revenue and the stability of its monetary policy. With South Africa’s uncertain political context and negative growth prospects, this presents further risks to eSwatini’s economy. AFDB (2018). Pgs. 3 – 8.